Last Sunday I attended Patric Chan’s Internet To Income seminar, it was a weekend well-spent I must say. Patric delivered more value than the ticket price I paid. Cheers. Well, if you have no idea who Patric Chan is, just check it out here. He is a best-selling author, a super affiliate, a world renowned internet marketer and an international speaker. 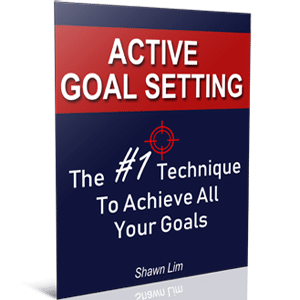 He has coauthored a book with Robert G. Allen, and he’s got testimonials from other successful people such as Bill Bartmann, Matt Morris, Russell Brunson and much more. This is not the first time I attended Patric’s seminar, but still, there are so much more to learn from this brilliant internet entrepreneur. I used to attend one organized by Patric many years ago, and the best part was that he actually invited Robert Allen as a guest speaker. Can you believe how good he is? This was taken 7 years ago. I can’t believe how fast time flies. Anyway, cut the story short, let’s talk about the 3 golden lessons that I have learned from last Sunday’s seminar and how you can benefit from these too. I like the way that Patric used the metaphor of mountain climbing to show this point. He said he climbed Mount Kota Kinabalu some time ago, the highest mountain in the whole of South East Asia (slightly more than 4,000m). When you almost reach the top, there are no pathways for you to follow to get to the peak. There’s only a rope on the mountain floor for you to grab on and move along. And if you fall, you will die. The fortunate thing is that there is a rope there for you to use and follow on to get to the top. It simply means that someone has reached the peak before and has been kind enough to lay the rope there for all the rest of the mountain climbers to use. And you don’t have to search for a new path to get to the summit. All you need to do is to use climb by following the rope. How nice. It is the same when it comes to achieving success in life. You don’t have to create your own path or invent new ways to get the result you want. Just find out who have been there and follow their footsteps. This is exactly what Patric shared in the seminar. And it is true. Most people are trying so hard to build a business from scratch and trying to do everything on their own. They keep on trying new things and when they fail, they try even harder. No, you don’t have to do that. This is the information age and information is all around us. When you have no idea how to do something, just search or ask around. If you want to plant tomatoes in your backyard and you have no idea how to do it, what should you do? You can simply Google or check out YouTube for answers. There are people who have done that and are sharing how they did it. You just need to follow through and do the same. Regardless of whether you want to lose weight or build a million-dollar business, there are someone out there has done that and are willing to teach you the way. You just need to find out the solution how to get there. You don’t have to search for your own path, just follow the rope. And this is also the reason why I’m attending the seminar. I wanted to learn more and keep on upgrading myself from time to time. If you want to be successful, you must commit to constant and never-ending improvement. Next, comes one the most important business lessons that you cannot miss out. It is all about relationship and networking. I know you have heard about this, but still, it works five decades ago and it still works today. How do you think Patric is able to get to know super successful people like Bill Bartmann or Robert Allen? It is through networking and building relationship, the right way. Patric said that his Facebook advertising account was once banned and he have no idea what to do. Luckily, he gets to know someone who is connected to a Facebook advertising agency and got his account unbanned. And I truly believe in the power of networking and relationship. It is not what you know, but who you know. Think about it, if Richard Branson is your close friend and you wanted to get business advice from him, do you think he will help? Of course he would. Somehow, he’s your good friend, right, how can he not help? So network with people from time to time and get to know new people. Grow your relationship with them and you will for sure find it fruitful when you can get some help from your friends. However, do watch out whom you network with. You will become the average of your closest friends. So network and build relationship with other successful people if you want to be successful. Thus, seek out people who are doing much better than you, and network with them. You want to improve your life all the time so you must grow your circle of friendship with people you can learn from. How do you think Patric was able to build a relationship with successful people who have accomplished outstanding results in life when he was just nobody? The secret is as stated above, give before you take. Patric said that a lot of beginners or people who just started internet marketing trying to reach out to other big players in their field. And the first thing they do is to ask those authority people to promote their products or websites. They ask for help before they help others, which is like going the opposite way. Before you ask for people to help you to promote your products or buy something from you, you must first give and demonstrate your value to them. Learn to give before you learn to take. So what Patric did to approach those big players was to help them with their current projects at hand. For example, when Patric get to know that Robert Allen is coming to Asia to expand his reach, Patric quickly approached him and offer to help him in Malaysia. And Robert Allen accepted, however, his timing fell on the first week of the New Year and he will be in Malaysia on Monday. And the challenge was that Patric needed to get people to attend the seminar on the first week of a New Year and it was on a workday. Not to mentioned that Patric only has one week to get everything ready. Guess what, Patric got the job done and Robert Allen felt blessed to have Patric’s help on this. And from there onward, they both became good friends. This was also how I got the chance to meet with Robert Allen in 2010. So have you ever wondered why Patric was able to coauthor a book, “Clicking Cash” with Robert Allen now? Give before you take. Help people before people help you. Solve their problems and they will solve yours. Demonstrate your value to your prospects and they will become your customer. These are the 3 biggest “aha” I got from joining Patric Chan’s Internet To Income seminar last Sunday. I hope that you can benefit from these golden nuggets as well. Regardless of whether it is in life or in business, these are the insights and ideas that will grow you, inspire you and make you more successful. Let me know what you think about this. Share with me in the comments below. P.S. 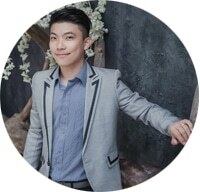 You can always learn about internet marketing and how to create additional sources of income from the comfort of your home by learning directly from Patric Chan himself. Check out one of his courses HERE.